You’ve heard me say enough times that I simply can’t be bothered with high-maintenance eyebrows; to be quite honest, I don’t even like the look of high-maintenance, perfectly-shaped eyebrows. Not on myself, at least. So I’ll be damned if I’m going to spend half an hour getting them right in the magnifying mirror, surrounded by brow powders and tweezers and waxes and a sense of dire foreboding. I’ve been sidetracked! A spot of quick grooming, yes – works wonders. I like to use a clear brow gel, even on an “off” day, just to get the hairs moving in a more positive direction, but if I’m doing anything at all with eyeshadow then I like to darken my brows very slightly and make them a bit fuller, and the plethora of new tinted fibre-gels on the market are brilliant for doing just that. Benefit’s Gimme Brow (£18.50 here) is exceptional – good, small wand, a believable build-up of fibres that give nice volume and a realistic, slightly ashy shade option that works well for blondes. 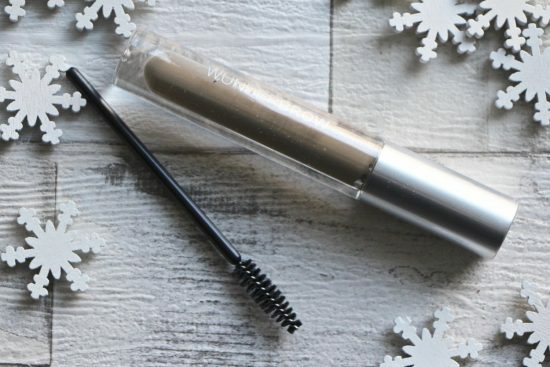 Rimmel have also come out with something very similar at a fraction of the price – Brow This Way, which is £3.99 at FeelUnique here. I thought it didn’t launch until next year, but it seems to be available in a few places already. Wunderbrow, however, knocks all other easy-brow products out of the park: it’s a one-step brow beautifier that adds definition, volume and properly fills in sparse areas. It’s a brow gel with bonus powers. A supergel. Now it says one step, but really it’s two, because you paint on the Wunder stuff with a little paint brush and then you use a spoolie, included, to comb it all through and disperse the product and make it look more natural. There’s quite a difference, and I didn’t even really concentrate that much when I did this initial test. If I had been paying attention, I might have started my brows a little further out, but hey ho. Such is life. At least I didn’t have jam on my mouth, which is what happened last week, forcing me to scrap around one hundred and fifty painstakingly-produced photographs of my face with various foundations on. Now the Wunderbrow is supposed to last for a few days, and it does, so long as you don’t do your full cleanse across your brows. It survives a swipe with the micellar or a quick wish-wash at the sink, but a balm and a flannel? No chance. It certainly has more longevity than a normal brow gel, though, so well worth a look if you need makeup that survives adverse conditions or long, long shifts at work. 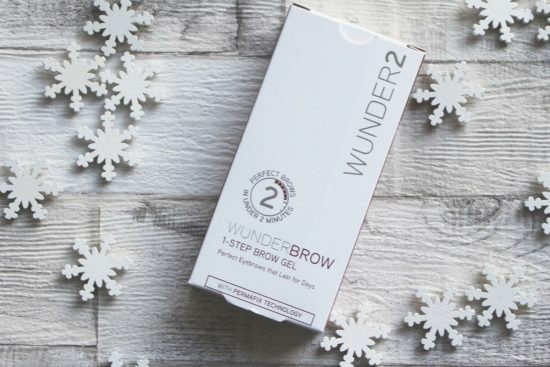 You can find Wunderbrow at Amazon here – it’s £19.95. If you want to see it in action then it’s included in my latest Youtube video (contains an advertorial for Amazon, before you click!) 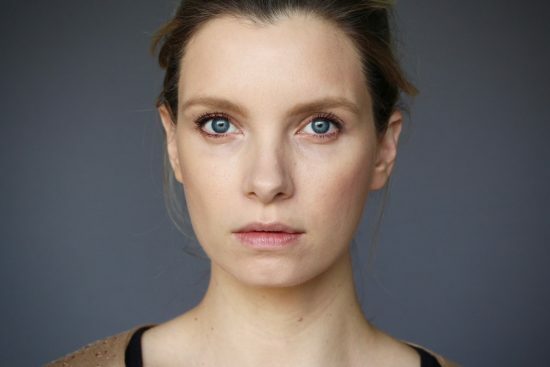 here and the brilliant makeup artist Caroline Barnes also demonstrated it in our eyebrow video earlier this year, see here. If I had one tiny criticism, it would be that the blonde shade is ever so slightly warm and I’d prefer it to be on the ashier side, but it’s only really noticeable under close scrutiny. Worth bearing in mind, though, if you’re very very fair.